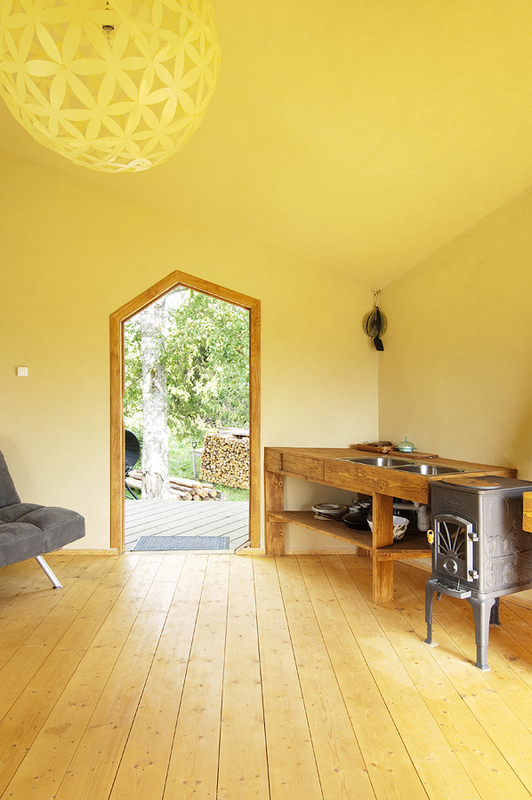 Mountable summer house NOA was designed and build by Estonian designer Jaanus Orgusaar a few years ago but it has lately gained a lot of international attention after attending at Grand Designs Live fair in London. Noa is an easily mountable sustainable living space, adaptable to a variety of landscapes and environments. The advantage is that one can always add a module to extend the housing step by step, with each module, ones "saves" a wall. The small house was brought to life from the need for a practical, sustainable and economical living space which would be easily mountable compiled from identical elements. The base element is a specific rhombus. The base for the structure is the rhombic dodecahedron.